by Byron Bixler For the second straight year, we find ourselves having a conversation about race and the Academy Awards. Accusations of unchecked racism are flooding social media once more, but this time, the “hashtag uproar” is translating to boycotts and the Academy’s Board of Governors has already announced dramatic changes to increase the diversity of the voting body. The media is revving its engines, gobbling up every shocking soundbite it can find and spreading it to the offended masses, framed as damning evidence of the Academy’s secret malevolence. But is all the outrage justified? Well…yes and no. The reality of the situation is far more complicated than it’s being made out as. First and foremost, this is a problem of representation and opportunity, not racist voters willfully choosing to ignore the top minority performances of a given year. I’ll get into that initial statement soon enough, but I think it’s important that something be understood about the politics that go into the nominee selections. For anyone who doesn’t know, the Oscar game is just as much about campaigning as the current election cycle is. Distributors hold schmoozing events, send out screeners, and put all their chips behind the pictures they believe have the best chance of taking the gold. Some companies are better than others at this and some don’t have the budget to make a significant impact. At the same time, multiple precursor award ceremonies have their own sets of winners and nominees, adding to the buzz surrounding certain titles. Box office and critical reception also plays a role in this. What I’m saying is that, outside of race, there are plenty of reasons why certain minority faces did not pop up on nomination morning. Michael B. Jordan missed for Creed because the film was a surprise critical success and Warner Bros. already had most of its campaigning weight thrown behind Mad Max: Fury Road. Stallone made the cut because he’s an established name in a beloved role and the Academy loves to celebrate a good comeback. Idris Elba missed for Beasts of No Nation, a film that, despite over performing at the SAG awards, probably suffered from a combination of difficult subject matter and the perceived stigma of being a Netflix film. Benicio del Toro was also snubbed for his performance in Sicario, which, judging by its small handful of technical nominations, was overlooked in general. Some might also throw Samuel L. Jackson into the conversation, but it’s clear from the lack of a screenplay nod for Tarantino (usually a guarantee in that category) that The Hateful Eight wasn’t exactly another Django or Basterds (and before you ask about Jennifer Jason Leigh, she has been one of three elements from the film that have been constantly recognized by various groups throughout this awards season, so her nod should not be taken as some kind of white-over-black preference vote). Will Smith is also one of those faces. He might just be the face at the center of all this outrage. The man has been nominated twice previously for similarly inspiring/triumphant roles (Ali and The Pursuit of Happyness), but the difference here is that Concussion was not that well received as an overall film, scoring mediocre reviews and middling box office. Smith’s only significant appearance in the precursors was at the Golden Globes, and the HFPA is known to nominate big stars in prestige pictures regardless of how great their film was. Leonardo DiCaprio was in almost exactly the same position four years ago when he missed a nod for J. Edgar. And what of Smith’s competition; the five white dudes actually nominated? But Fassbender’s performance was consistently singled out as one of the best of the year. Doesn’t matter. Big, serious themes about a relevant topic? An actor’s showcase and a “transformative” role for someone still basking in the afterglow of last year’s Oscar win? It’s a no-brainer. Yes, but Trumbo is about Hollywood, and the members of AMPAS have always loved movies about themselves. The Academy simply likes what it knows and believes in. Why do you think three of our last four Best Picture winners (Birdman, Argo and The Artist) have been about Hollywood and showbiz? Why do you think Crash beat Brokeback Mountain? If it wasn’t about homophobia or the distributor’s screener-savviness, it was because Crash was about Los Angeles, and between those two films, which would you really expect an L.A. industry insider to relate more to? Like any group, AMPAS has certain things it identifies with and certain subjects it holds up as important and worthwhile. 12 Years a Slave captured the Academy vote in 2014 for its emotionally wrenching and faithful portrayal of a significant chapter in American history that carried with it a significance and resonance that reaches well into the present day. 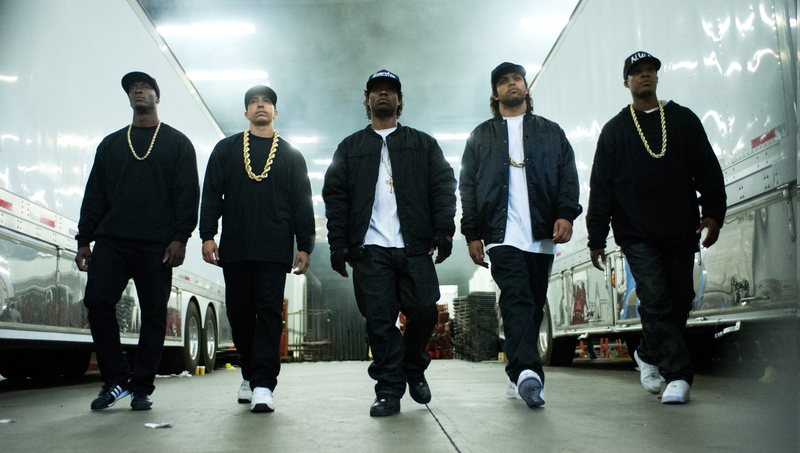 Straight Outta Compton, on the other hand, despite having broader social connotations, is essentially a biographical band movie centering on a very specific, relatively young genre of music. Yes, it had the right mix of box office clout and critical momentum, but can we really be surprised and angry at the fact that a group largely made up of old, white men didn’t identify with the film? I don’t think a movie about The Beastie Boys with the same credentials would have done any better. Just like white actors, minority actors need to appear in the right kind of “important” prestige pictures to be recognized by the Academy, and when voters are presented with only a couple such minority-led options each year (options which also need to clear the campaigning hurdles), it’s easy to see how the Academy can end up with an all-white lineup. This is where the core problem of industry-wide underrepresentation comes into play. 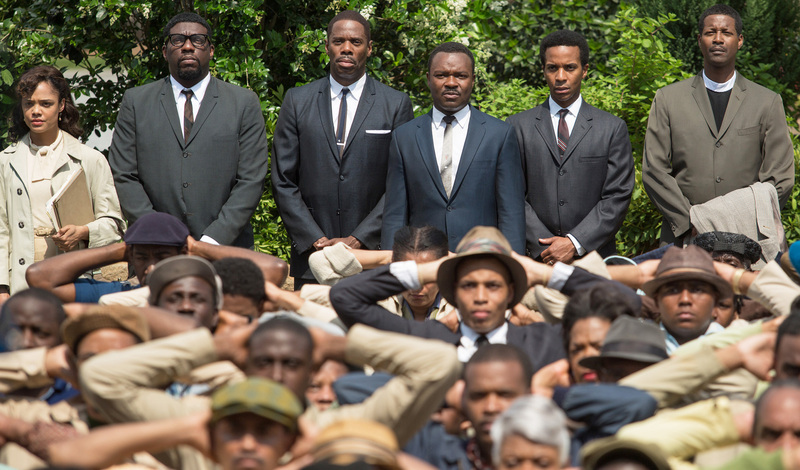 When Selma ignited controversy at the 2015 Oscars, it wasn’t so much the snubs that got my attention as it was the fact that the unrest appeared to have come about directly as a result of one film missing the expected categories. Here’s something that no one was discussing: Why was there only one minority-led, racially-charged picture in the conversation? Why does the supposed “racism” of the Academy rely on the widespread embrace of a single film? Once again, it seemed like there weren’t many minority-based options to choose from in the first place and none of them were entirely “Hollywood” productions (which is to say, produced by major studios). Outside of Selma, the only other “black film” in any kind of running was Top Five, an independently financed and very well received late-December comedy written, directed and starring Chris Rock. Additional extreme dark horse candidates were the Sundance darling, Dear White People, the summer art house hit, Belle and the sleeper critical success, Beyond the Lights. A curious figure to think about: 83.3%. That’s the percentage of leading roles filled by white actors in Hollywood features made in 2013 (Hunt). Additionally, minority studio executives are few and far between, with 94% of studio heads being white (Hunt). From this stems the question: Why is Hollywood set up this way and what, if anything, can be done to diversify the industry? It’s not as simple as one might think, and with a system as old as Hollywood’s, change would likely come slowly, but there are certainly steps that can be taken and plenty of unacknowledged detriments that can be done away with. While similar diversity issues certainly exist in other realms of entertainment and business, it is still surprising that in a town as famously liberal as Hollywood, non-white faces struggle to get exposure in the business. The reason for this might be found by taking a look at Hollywood’s beginnings. 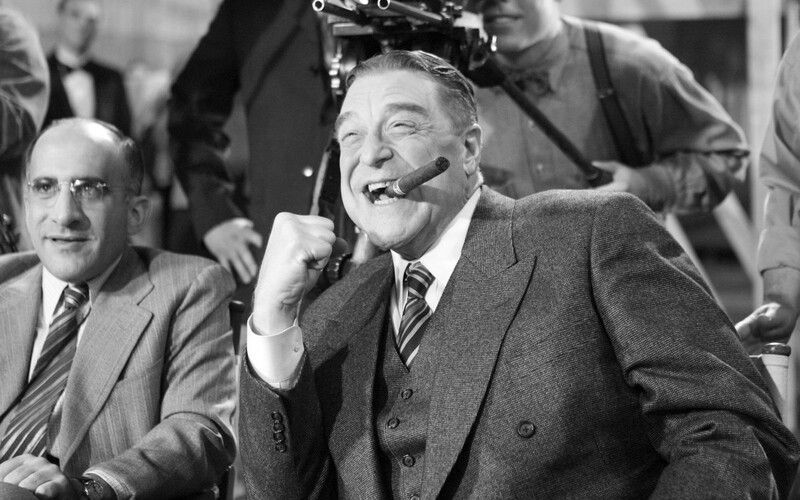 In the early 20th century, studios were largely founded by Eastern European Jews. These people were, as Neal Gabler, author of An Empire of their Own: How the Jews Invented Hollywood, put it: “anything but the quintessence of America.” (Romero) In an effort to fit in and “punch through to the mainstream,” they accepted a “white-bread vision of America.” (Romero) Going with the crowd and not infringing on traditional, white ideals was their best shot at financial survival and retaining relevance. So, in essence, what we see is a collection of outsiders suppressing themselves and other outsiders in order to transcend their social status. It’s an unfortunate sacrifice to make, but considering the white-centric, xenophobic climate of the day, not entirely unsympathetic. However, the question is whether or not this is the source of Hollywood’s continuing trend of keeping minorities out of key executive spots and leading roles. Having been so deeply entrenched in Hollywood’s history and early ideology, I think it’s fair to say that the town’s background plays a role. Over time, it has formed a familiar and financially dependable pattern for executives to rely and fall back on. In other words, it’s a very old habit and unfortunately for today’s minorities aspiring to make an impact on the business, it’s been a tough one to kick. But there’s one thing that has the power to usurp tradition and that’s money – the second major influence on Hollywood’s white-friendly system. One could say that the two go hand in hand, but there is clearly a sentiment running through the industry that says non-white films and actors are risky to invest in. Journalist Alex Tizon writes: “Hollywood producers won’t heed the concerns of underrepresented people until not heeding them hurts profits.” (Carreon) In reference to the film 21 (a movie based on the story of a largely Asian MIT team of card sharks that converted much of the cast to Caucasians), producer Dana Brunetti said: “Believe me, I would have LOVED to cast Asians in the lead roles, but the truth is that we didn’t have access to any bankable Asian-American actors that we wanted.” (Carreon) The reluctance to cast minorities in major roles has even proven to transcend the power of a name director, as was the case with George Lucas and his pursuit to make Red Tails, a film about the Tuskegee Airmen. According to the Star Wars director, the project took 23 years to develop because studios didn’t know how to market a “black movie” and didn’t believe that films with majority black casts could do well in foreign markets (Serwer). This information paints a picture of a painfully frugal Hollywood, afraid to take a chance at the risk of losing a few million dollars. Of course, “frugal” and “Hollywood” are two words that don’t exactly mix. After all, this is the same industry that put over $250 million into John Carter, an adaptation of a 105-year-old book starring Taylor Kitsch, an untested young star (who was…you guessed it: white). 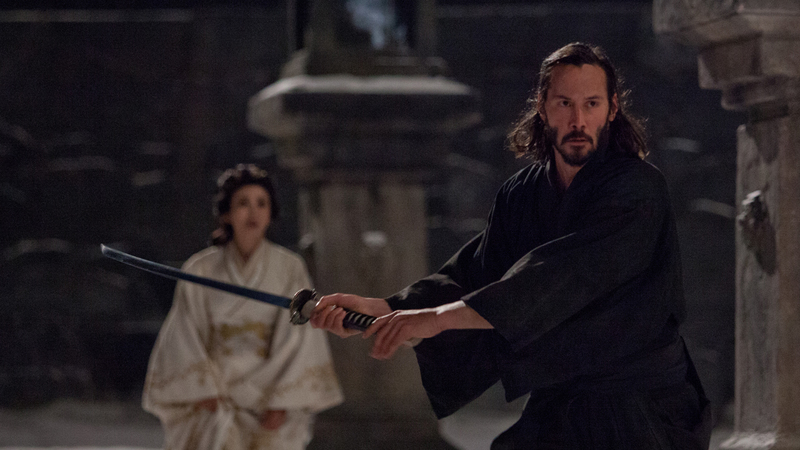 It’s also the same Hollywood that spent $225 million dollars cobbling together 47 Ronin, a box office bomb based on a famous Japanese legend that was then twisted into a ridiculous CGI extravaganza starring Keanu Reeves (a white character that was never in the original tale). Hollywood seems to have no problem being uneconomical when the project has a white lead, so the excuse regarding bankable minorities comes off as weak. There’s clearly money to blow and there’s no reason Hollywood can’t experiment with its non-white talent. But there is a third dimension to the issue: the greenlight. Like the traffic device that the name alludes to, this is the “thumbs-up” that every project has to get to go into production. According to Dennis Romero: “The greenlight and financing power of the studios is most often cited by experts as the key to Hollywood’s homogeneity.” It has been widely observed by industry professionals (like Guy Aoki, of the Media Action Network for Asian Americans, and African American director, Victoria Mahoney) that Hollywood doesn’t have any people of color that possess the power to greenlight a film (Romero). What all this establishes is that Hollywood is run by white men (and they are men, but that’s another discussion) beholden to a tradition of whitewashing, tightly clutching their money and afraid to upset the very specific vision of American culture that they’ve already laid out for foreign markets and Americans pre-conditioned to believe in the myth. That’s a tall mountain to climb, but conquering it (in time) is not wholly unrealistic and it isn’t the obvious methods that will get us there. For most people, the first proposition to come to mind when thinking of ways to diversify the film industry would be to bring more non-white faces into executive positions. At the very least, one would think that putting minority advancement programs in place would be a solid first step. This could be a kind of affirmative action initiative that would give qualified minorities an opportunity to show what they can do and make it to the top. The problem is that this idea has already been put into motion, and the results were not promising. In 1999, an understanding was reached between the NAACP and major television networks that sparked “diversity initiatives at the big studios, including writer training and executive development programs.” (Romero) It was an attempt that achieved nothing, as the programs were often used as a fallback excuse when studios were called out for sluggish progress (Romero). Even when minorities have found their way into top positions – as was the case with Lin Pictures CEO, Dan Lin – diversification and new opportunities did not arise. Despite being Taiwanese born, Lin has failed to incorporate any major characters of Taiwan descent (Carreon). This likely speaks to the fear of risk that seems to pump through the veins of all Hollywood honchos, regardless of race. With the executive option out, we would have to take a more indirect route. Considering the studios’ stinginess and hesitance to embrace non-white stars, a good proposal might be to test the waters by putting minority actors into proven genres and formulas. Giving significant roles to black, latino, Asian and Native American stars in low-cost, high-reward pictures with good track records would be an easy way to insinuate non-white faces into the mix even if by way of modest success. Such a thing has already been done a few times and the results have been positive. The horror film, Paranormal Activity: The Marked Ones featured an almost all-Latino cast and made $32 million domestically on a $5 million budget. The YA adaptation, The Maze Runner made ten times its budget and featured Korean actor, Lee Ki Hong in a prominent role. 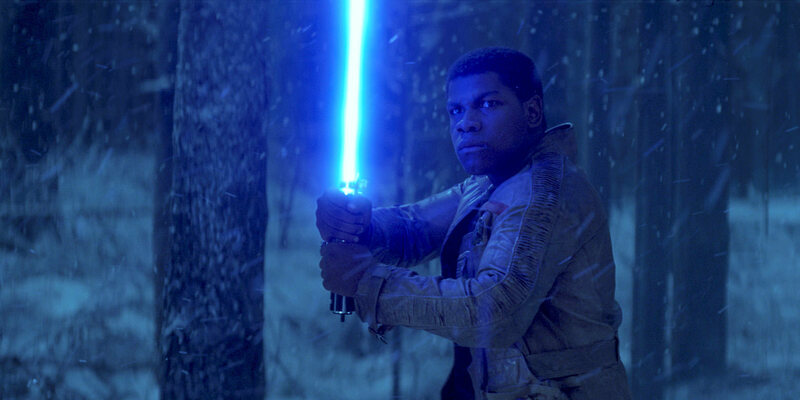 Star Wars: The Force Awakens did the same thing (albeit with a much bigger budget), casting British-Nigerian actor, John Boyega in one of the lead roles. Even the raucous comedy 21 & Over, despite receiving flak for racist jokes and stereotyping, made $48 million on $13 million, led by Korean-American actor, Justin Chon. As this last fact shows, even if audiences are repulsed by insensitive portrayals, Hollywood need not worry about the box office as long as they keep to a familiar formula and a low budget. With a number of small hits under their belt, an actor will become familiar to the film-going public and likely have the ability and box office clout to carry much bigger projects. However, if studios don’t find this method of diversification suitable, a second option might fall into the hands of Hollywood’s biggest superstars. George Lucas may have had trouble convincing the studios of funding a racially diverse project, but I have a feeling that mega stars like Tom Cruise, Brad Pitt, Johnny Depp, George Clooney, or Leonardo DiCaprio might not have quite the same trouble. If they were to include in their contracts a clause assuring diverse casts in the films they work on, studios might be hard pressed to refuse. Directors can be rotated, as they don’t have the same amount of audience pull, but stars are crucial to the success of most films, and switching out Matt Damon for Sam Worthington (no offense to him) would mean a major loss of profits that the studios could not afford. At the moment, the perceived answer to a largely white Hollywood is to produce “non-white” films tailored specifically to black audiences. I’m talking about films like Brown Sugar, Love and Basketball, Barbershop, The Best Man Holiday, Think Like a Man, Jumping the Broom, and everything under Tyler Perry’s name. Many of these are made somewhat independently of the major studios and it’s perfectly understandable for a minority group to feel the need to make movies for themselves when no one else is, but to my mind, the popularization of these racial demographic-specific films is something of a detriment to the progress Hollywood needs to make. I applaud black filmmakers and producers taking the initiative to make movies for their own people, but the message this sends to the studios is that “minority films” are good for minority audiences only. By targeting one group with a film loaded with black actors on one end and having big tentpole releases with white stars on the other, the endorsement of cinematic segregation is allowed. While those making these films may see them as championing non-white talent, I see them as putting non-white people into a box in the corner while the other films are viewed as the norm. America isn’t carved up in that way and the film industry’s output should reflect that. And so we arrive at the release of last year’s billion-dollar-grosser, Furious 7: the latest installment of a franchise that does racial diversity right. Since its very first outing, The Fast and the Furious, the series has showcased a variety of different characters without stereotyping and without making the films about race, all while bringing in big box office numbers time after time. The latest cast ranges from white (Paul Walker, Jason Statham and Kurt Russell) to black (Tyrese Gibson, Ludacris and Djimon Hounsou) to latina (Michelle Rodriguez and Jordana Brewster) to Asian (Tony Jaa) to biracial (Vin Diesel and Dwayne Johnson). The directors behind the franchise are no less diverse, including a white man (Rob Cohen), a black man (John Singleton) and two Asian men (Justin Lin and James Wan). Despite the series being about action and slick cars, there’s an emphasis on the core group being a family and you could argue that they almost serve as a microcosm of America’s racial landscape. But it’s the money the studios want to hear about and with Furious 7, there are several notable figures. 75% of the film’s worldwide gross came from overseas, dispelling the myth that people in other countries don’t want to see non-white leads. As far as the U.S. goes, the racial breakdown of ticket sales was considerably diverse. 25% of the audience was white, 37% was Latino, 24% was black and 10% was Asian (Pallotta). People responded to the diversity and with record-breaking numbers like the ones Furious 7 got, studios should be less hesitant to provide audiences with the multicultural casts they deserve and demand. It’s time to put an end to whitewashing films like 21 and fighting off projects like Red Tails. “Non-white films” like Think Like a Man and Barbershop need not go away, but there should be less of an emphasis on them. Ultimately, it’s a film industry that displays and celebrates the full spectrum of races in this country that we need. The TV industry has already gotten there, displaying a high level of diversity and success with a recent flurry of hit shows like The Walking Dead, Brooklyn Nine-Nine, Scandal, Black-ish and Fresh Off the Boat and their big-screen companions need to catch up. The Oscars are just the tip of the iceberg, the awards merely reflecting Hollywood’s long-gestating injustices. It’s a waste of energy to focus so narrowly on the Academy’s “white problem” when the system it is a part of informs the organization’s choices so heavily. If the Selma debacle was a wake-up call, then the success of Furious 7 was the timely answer. Nearly one year later, with another controversy brewing, it is now up to Hollywood to heed that response. Time to stop complaining about an arbitrary awards ceremony and start doing something about an ignorant industry- one that denies a racially diverse nation diversity in its entertainment and more importantly, denies opportunities to minority populations. Carreon, Heidi, and Juliette Lin. “Yellow In A White Industry: Asians In American Film.” Neon Tommy. N.p., 18 Sept. 2014. Web. 28 Apr. 2015. .
Hunt, Darnell, Zachary Price, and Ana-Christina Ramon. 2015 Hollywood Diversity Report: Flipping the Script. Ralph J. Bunche Center for African American Studies at UCLA, 2015. Print. Pallotta, Frank. 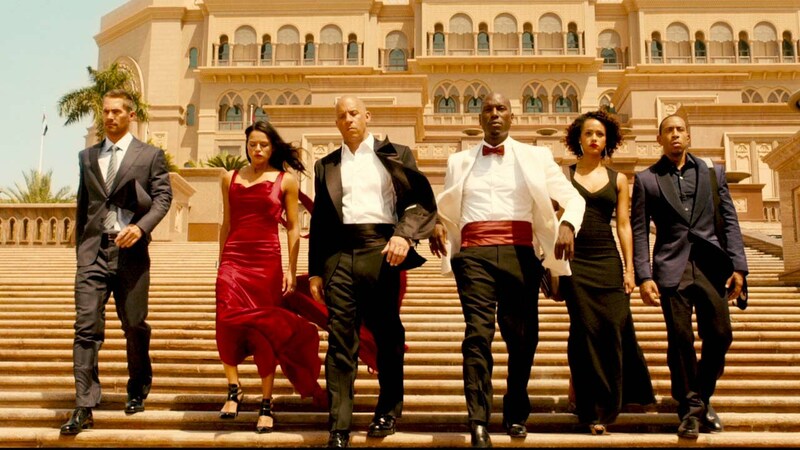 “How Diversity Is Driving ‘Furious 7’ Box Office Success.” CNN Money. Cable News Network, 07 Apr. 2015. Web. 03 May 2015. .
Romero, Dennis. “How Hollywood Keeps Minorities Out.” LA Weekly. N.p., 25 Feb. 2015. Web. 28 Apr. 2015. Serwer, Adam. “George Lucas: Hollywood Didn’t Want to Fund My Film Because of Its Black Cast.” Mother Jones. N.p., 10 Jan. 2012. Web. 28 Apr. 2015. . Tags: Academy Awards, Byron Bixler. Bookmark the permalink.